The right protective clothing offers healthcare workers and patients protection from high-consequence infectious diseases (HCIDs) like Ebola. 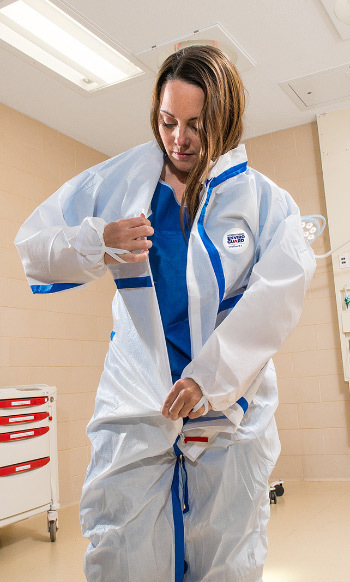 Competitive disposable protective clothing are simply chemical suits being marketed for healthcare use. They’re uncomfortably hot, and not designed to meet the latest safety requirements or your donning and doffing protocols. 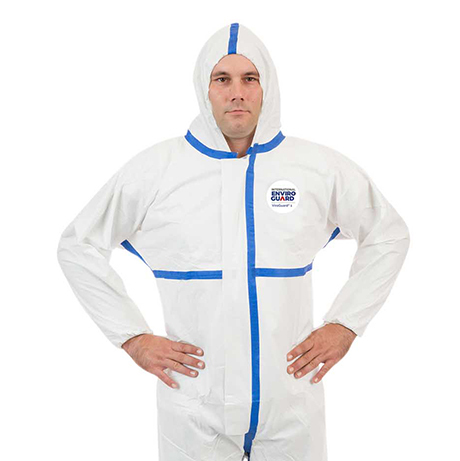 These disposable protective coveralls may not offer the protection you need against the most contagious threats. Our garments have been designed with extensive input from medical professionals and leading medical centers. The resulting design offers the features necessary for life-saving protection and ease in the donning and doffing procedure. Our products are preferred in real-world infectious disease scenarios for their better fit, performance, and protection against the most dangerous pathogens. In addition to providing reliable protection, we engineer each of our garments for comfort and protection along with enhanced mobility. Enjoy the Comfortable Confidence® to safeguard what matters most. 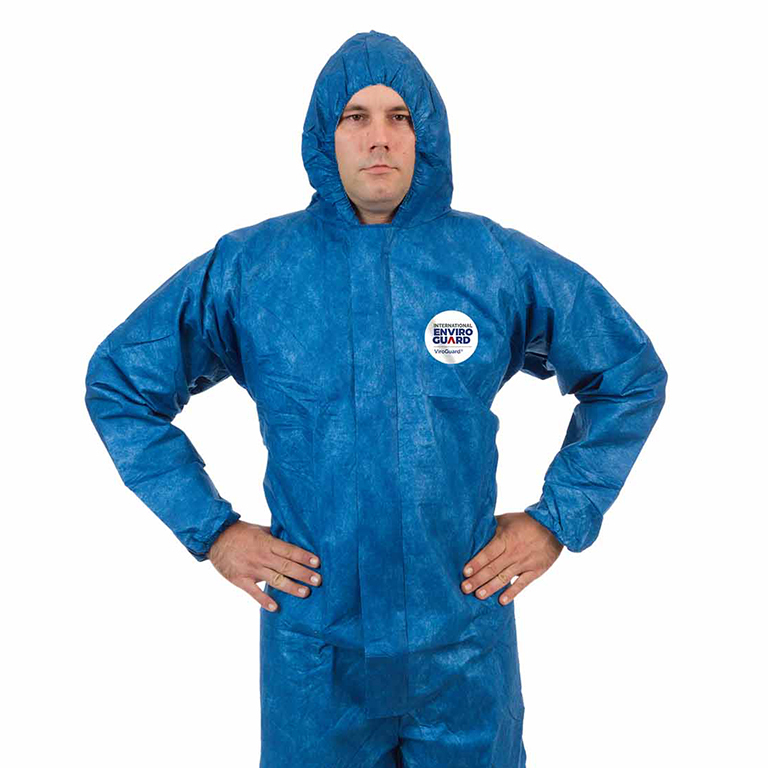 Enjoy impermeable protection with fabric and seams that pass ASTM F1670 (blood) and ASTM F1671 (blood-borne pathogens). Designed to meet the latest CDC standards for those working with PUIs who are clinically unstable or have bleeding, vomiting or diarrhea. Because of its unique design and protection factor, ViroGuard® 2 is the product of choice for most of the Regional Ebola and Special Pathogen Treatment Centers along with top key assessment facilities. 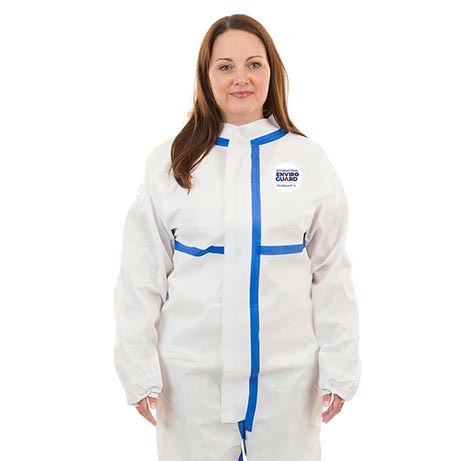 Impermeable fabric and seams pass ASTM F1670 & F1671 tests for protection against blood, bodily fluids and blood-borne pathogens. Adjustable Mandarin collar with Velcro closure creates a better neck seal for each wearer. Double-sided tape around wrists keeps gloves in place during donning and doffing. Zipper front with a sealable storm flap that has a starter tab for the sealing tape. Starter tab makes it much easier for a gloved hand to pull and expose the tape for sealing the storm flap. Large zipper pull with red fabric pull tab. Makes it easier for the wearer to see and use the pull with gloved hands and wearing a PAPR. Thumb and finger loops work to prevent sleeves from riding up and exposing skin. Roomy one-piece raglan sleeves provide for increased arm and shoulder movement while resisting tears. Visible sizing tag helps materials management teams identify size easily without unfolding each suit.